Subawards, including Hybrid Agreements, are handled by the Office of Contract Administration in the Finance - Sponsored Program office. In this set of three videos, Dennis Poszywak, Procurement Subcontract Administrator of U-M, helps unpack the definitions, budget implications and provide scenarios to better understand the difference. For questions regarding whether the collaboration is that of a subrecipient, contractor, or hybrid agreement, please contact the Office of Contract Administration (OCA) at subcontracts@umich.edu. Enter a Subcontract Procedure [pdf]. Indicate that a Subcontract will be associated with the PAF (question 2.2). Upload the completed Letter of Commitment (or enter Notes) in the Subcontract worksheet within the PAF. Access the Subcontract worksheet from the Subcontract tab within the PAF workspace. Enter/upload the required information and documentation for OCA (e.g., begin/end dates; project/grant number; detailed budget; and, if needed, cost/price analysis). Submit the Subcontract information to OCA via an activity in eRPM. To add a NEW subcontract to an awarded project, start the process from the Subcontracts tab in eRPM. A completed Letter of Commitment (LOC) is required when requesting a subcontract if the sponsor of the PAF/parent project follows the PHS financial conflict of interest regulation. Use the templates below to collect the information from the subrecipient institution that U-M needs to establish the subcontract, including their Conflict of Interest Policy Certification option. Please note, we are participating in a pilot with FDP, where you can look up this information. Check that first. Used when U-M is the subrecipient, and the institution making the subcontract needs information about U-M but doesn't have their own institutional forms.Note: you can use this template to establish a subcontract on a project with any sponsor, but the Conflict of Interest Policy Certification may not apply. If the project sponsor follows the PHS FCOI regulation and the subrecipient institution elected that U-M review for potential FCOI in the Letter of Commitment, each subrecipient investigator must disclose outside interests to U-M prior to subcontract activation. Use the "Non-UM Affiliate Disclosure Form" below to obtain completed disclosures. The following information is required to ensure that appropriate documentation is obtained to support the proposed budget of the Subcontractor/Vendor. This supporting documentation is required in accordance with Federal regulations for each and every budget category proposed by the Subcontractor/Vendor under a Federally-Sponsored Contract. Below is a listing of the most common budget categories and the justification required to support a cost/price analysis. FAILURE TO PROVIDE COMPLETE INFORMATION WILL DELAY ISSUANCE OF THE SUBCONTRACT OR HYBRID PO. Simply re-stating a budget in detail is not sufficient. Salaries/Wages: Attach supporting documentation of the individual's actual base rate. If the proposed rate includes an escalation factor, identify that factor and attach the subcontractor's justification for its inclusion. Attach the subcontractor's justification for direct charging of administrative or clerical personnel. Supporting documentation for salaries and wages may include copies of payroll forms or reports. If such documentation is not available, the following certification signed by an authorized representative of the subcontractor/vendor will be required: "The salary and wage information provided is true and correct and represents the current and actual base rate of each individual proposed." Fringe Benefits: Attach supporting documentation for fringe benefits. Supporting documentation for fringe benefits may include a copy of the federally-negotiated fringe benefit rate agreement or a copy of the published rates. If such documentation is not available, the following certification signed by an authorized representative of the subcontractor/vendor will be required: "The fringe benefit information provided is true and correct and represents the current and actual fringe benefits of each individual proposed." Consultants: Identify the name, rate and number of hours/days for each Consultant. Determine that the purpose and costs are appropriate. Attach supporting documentation for the rates used. Attach written justification for rates exceeding the federally-authorized rate. Supporting documentation for Consultant rates may include a copy of the Consultant's published rates, or a statement signed by the Consultant indicating that the rate charged is the same as normally charged to others for the services provided. Travel: For each trip, provide the cost elements proposed for airfare, rental car, hotel, per diem, etc., as well as the purpose of the trip. Attach supporting documentation for each cost element such as published quotes for airfare, rental car, and hotel as well as a copy of the Subcontractor's/Vendor's current travel policy and procedures if available. Materials and Supplies: Attach supporting documentation for items with unit costs of $500 or more. Attach justification for direct charge items such as office supplies, postage, local telephone costs, and memberships that are normally treated as indirect costs. Supporting documentation for materials and supplies with unit costs exceeding $500 may include copies of published catalog prices or copies of previous expense vouchers. Other Direct Costs: Examples are computing services or time, communications, student fees, etc. Attach supporting documentation for rates and costs used. Equipment: Equipment means an article of nonexpendable, tangible, personal property having a useful life of more than two years and an acquisition cost that equals or exceeds $1000. Attach supporting documentation for each item. Supporting documentation for equipment may include copies of published catalog prices, vendor quotes, or copies of previous expense vouchers. Profit or Fee: Please explain/justify and attach supporting documentation as to why profit or fee is reasonable. Indirect Costs or Overhead: Attach a copy of the Subcontractor's/Vendor's Federally-negotiated Indirect Cost Rate Agreement. If the Subcontractor/Vendor does not have a rate agreement, sufficient information should be attached indicating how the rate used was determined and, if the rate was accepted and paid previously by a Federal agency, documentation to that effect should be provided. 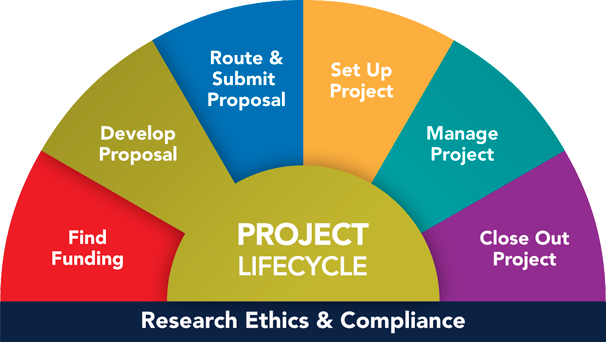 Upload the completed cost/price analysis document for the subcontract in eResearch Proposal Management. FDP Checklist to Determine Subecipient or Contractor Involvement A useful resource from Federal Demonstration Partnership to help determine Subrecipient versus Contractor involvement. At U-M, knowing the difference impacts indirect costs and as well as whether your project is handled by the Office of Contract Administration or Procurement. Subrecipient Monitoring Guide and Roles & Responsibilities Appendix Refer to this for an overview of departmental and central administration roles and responsibilities during a subaward.